If you’ve got Inflammatory Bowel Disease (IBD), you need to make every mouthful count! Whilst there’s no firm evidence that what you eat actually causes inflammatory bowel disease, it’s well known that consuming certain foods can aggravate symptoms (especially during a flare-up), and conversely, eating the RIGHT foods can help people living with Crohn’s or Ulcerative Colitis, better manage their condition. When you’re feeling well and able, it’s important to eat meals and snacks packed with as much good nutrition as possible. You want to get in plenty of vitamins, minerals, and other vital nutrients whenever you can! Fuelling your body with good nutrition can help you stay strong, fight infections, heal wounds and reduce inflammation. Whether you enjoy them scrambled, hard-boiled, poached, as an omelette, or frittata, eggs are the perfectly packaged superfood! 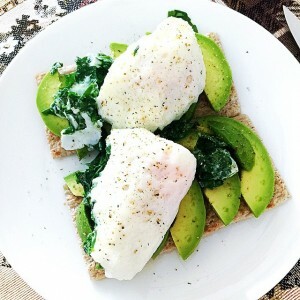 Whether your symptoms force you to stick to eggs on toast, or you’re able to pair them with some veggies – when it comes to nutritious, “gut-friendly” foods, the perfect protein-laden egg, is by far the most versatile, convenient, inexpensive source of easily digested protein. However you choose to eat them, you’re sure to receive a hearty dose of nutrition! One whole egg delivers 6 grams of protein, as well as dietary iron, which often needs to be replenished due to increased blood loss. As explained in more detail below, egg yolks are one of the few foods that contain immune-boosting vitamin D, as well as lecithin, a fatty acid that helps the body absorb the fat-soluble vitamins A, D, E, and K.
Despite this however, there still seems to be a lot of confusion and dietary “myths” surrounding their consumption – from the worry about “eating eggs every day”, to the common misconception that the yolks are “bad for you” – this is certainly a topic I often get asked my opinion on! The “egg debate” has been around for quite some time. Eggs used to be taboo because of their high cholesterol content – scientists had evidence that dietary cholesterol increased blood cholesterol, thereby increasing the risk of heart disease. But recent research has shown it’s not quite as simple as that! Virtually all medical and nutritional consensuses now agree that eggs are ABSOLUTELY FINE to have regularly (as with all things … in moderation!). In fact, a study in the Journal of the American College of Nutrition showed that people who ate eggs took in more essential nutrients (folate, Vitamins A, E and B12) than those on an egg-free diet! Firstly, cholesterol is an essential component of the body’s cells and your body needs it to function. In fact, even if you don’t consume any dietary cholesterol, your body will produce it anyway for essential bodily functions. Additionally, the research that initially linked eggs and heart disease, has been shown to have many flaws, raising questions about the validity of the now outdated conclusion. One study by the University of Connecticut found that the human body handles the cholesterol from eggs in a way that is least likely to harm the heart. Saturated and trans fats (and even sugar) are much greater dietary offenders when it comes to blood cholesterol! One whole egg (yolk included!) contains only 1.5g of saturated fat and NO trans-fat. All the latest medical research shows that the cholesterol in the yolks is actually the good essential kind, not the bad kind that is responsible for raised levels; there are therefore, actually much more beneficial health properties in eating than avoiding them! Eggs, as previously mentioned, are also a great source of protein, low in fat (another important factor in easing IBD symptoms) and carbs (virtually none!) and a fantastic source of folate, iron, zinc, selenium, Vitamin D, B Vitamins, choline and lutein. Choline helps ensure proper functioning of the brain and combats inflammation, and lutein is a carotenoid that is good for your eyes. B Vitamins make eggs a good food for your hair and nails and Vitamin D boosts immunity, facilitates the absorption of calcium and phosphorus and keeps your bones, teeth and muscles strong. Aside from the protein, all this nutritional goodness is packed into the yolk. In fact, the protein in egg whites is not as nutritious without the yolks (which themselves contain ~3 grams of hunger-busting protein). When eaten on their own, egg-whites also aren’t as satiating. 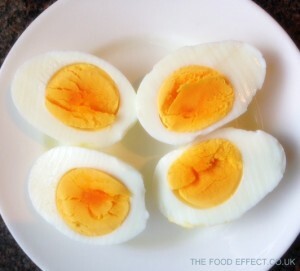 The yolks balance out the amino acid profile, making the protein in the egg whites more easily absorbed by our bodies. Abandon the yolk and you’re likely to feel less satisfied, which can cause you to eat more later on. Egg yolks are also home to tons of essential but hard-to-get nutrients and antioxidants that have been shown to help prevent macular degeneration and cataracts. 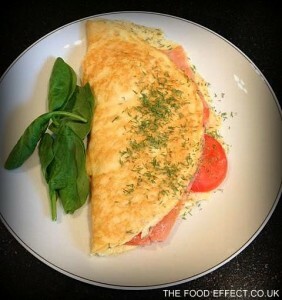 So to reap all the benefits, forget the “egg white only” order and start eating and enjoying the whole egg! In short, eggs are super healthy… if you’re looking to manage your symptoms and satisfy your hunger, while packing in some good nutrition, eating eggs will definitely do the job! They are a wholesome, natural and inexpensive source of nutrients, and fabulously easy and fast to prepare. Enjoy them poached, scrambled, hard-boiled or served as an omelette any time of the day. If your symptoms allow, pair them with some vegetables, and crackers or a piece of toast, for a perfectly balanced and filling meal. So, next time you’re out for breakfast (or lunch or brunch! ), you can enjoy your eggs without the guilt, knowing they’ll benefit you and your bowel! Rather eggs-cellent I’d say! Born in sunny South Africa and raised in London, Dr Michelle Storfer qualified as a medical doctor from University College London (UCL) and additionally completed a BSc degree in Nutrition at King’s College London. She also completed a year-long research project looking at “Dietary Variability and Methods to Assess Nutrient Intake in Crohn’s Disease” and carried out an elective period in Gastroenterology at the Whittington Hospital London. These provided further opportunities to increase her knowledge and gain practical experience in the wide range of clinical conditions covered by this area of medicine. Instead of pursuing hospital medicine, Michelle chose to combine her academic qualifications with her personal passions for health, wellness and nutrition, and started her own independent business and nutrition practice called The Food Effect. Michelle helps countless people change their health and well-being (& ultimately their lives! ), through optimum diet and nutrition, in a manner that still allows them to enjoy life and most importantly good food! She is also an avid cook and baker, spending any free time experimenting in the kitchen and coming up with delicious, healthy recipes. Michelle has her own blog at www.thefoodeffect.co.uk but she is delighted to now contribute to Jewish Digest! 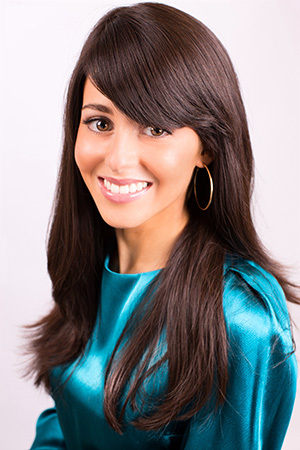 Through guiding her clients, as well as via her growing public and online profiles, Michelle’s mission is to teach the world to eat well, enabling everyone to look and feel their best!